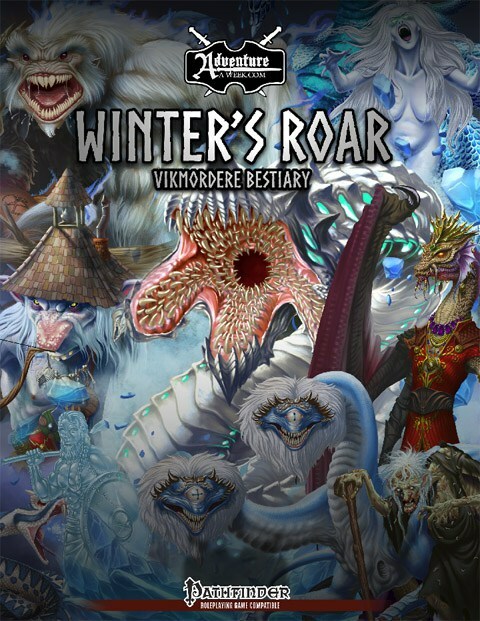 Winter's Roar: Vikmordere Bestiary published by AAW Games/Adventureaweek.com is now available for purchase. 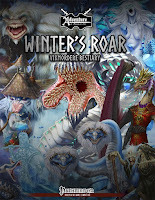 This book includes over 30 new wintery monsters and was created by Stephen Rowe (who did a fantastic job expanding and rebuilding much of the initial content to ensure a balanced book) and myself. Each monster boasts beautiful artwork by Mates Laurentiu.